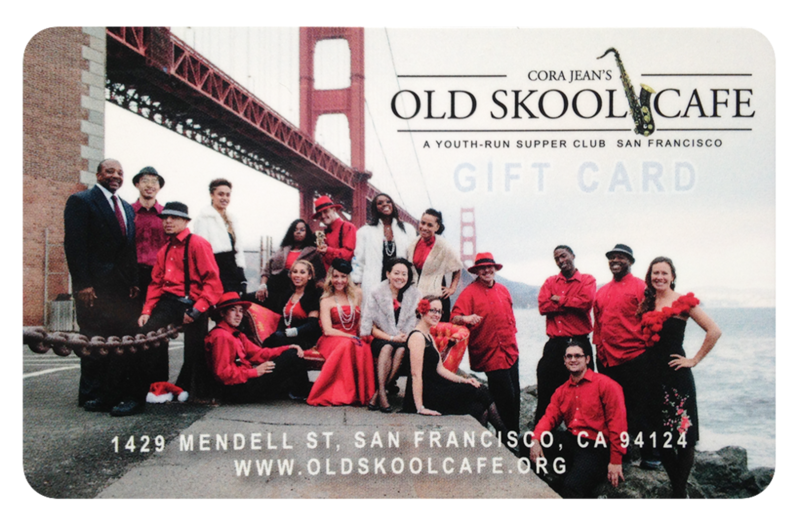 Old Skool Cafe is a youth-run, jazz-themed supper club. Breaking bread and building community together through food that satisfies hunger and soothes the soul. Headquartered in Bayview/Hunter’s Point, Old Skool Cafe is a youth-run, jazz-themed supper club to serve youth as an intensive real-world vocational training ground, employment incubator, supportive cohort, income generator, and connection point with a larger community that champions their success. Comfort food from around the world. Taking family recipes that our youth have grown up with and transforming them into dishes that are inspiring, as well as delicious. Jazz to classical and everything in between. We highlight a variety of youth artists. Entertainment line up listed on our event calendar. I rarely leave reviews, but this place, oh so deserves one!